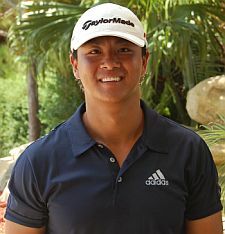 Sunny Kim of Queens, NY wins 2019 Monday Qualifier Contest #1 presented by Abacoa Golf Club with a 3-event cumulative score of 201 (68-69-64). The contest consisted of the three 1-day events played this week at Parkland GC, Abacoa GC and Martin Downs GC. Kim was tied with Evan Russell after two events (137) and both were -6 through 14 holes at Martin Downs and still deadlocked in the contest. An errant tee shot and double bogey at the par-4 15th hole by Russell gave Kim a lead he would not relinquish. 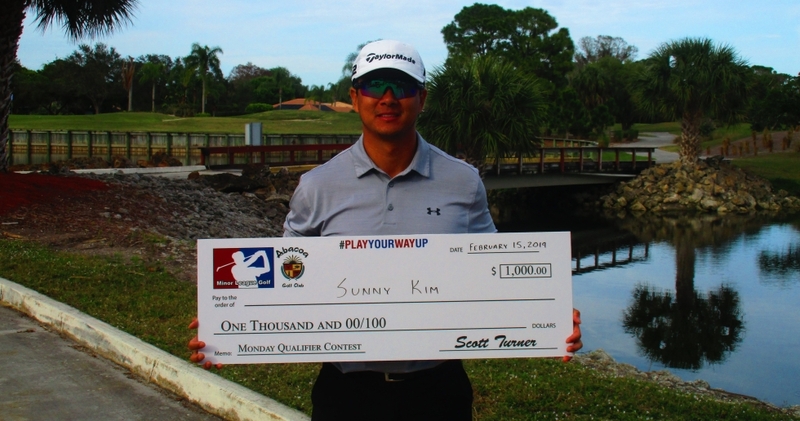 Kim wins a $1,000 bonus for his fine play this week to go compete in a Monday Qualifier on the PGA Tour or Web.com Tour. Good luck Sunny in your pursuit for a PGA Tour card!